Erected in the centre of the Jewish district in Wrocław between 1827 and 1829 and named after an inn that occupied the site previously, the White Stork Synagogue has been the locus of religious, political and cultural performances for almost two hundred years as well as a destination for the city's residents, tourists and dignitaries – including the likes of the Dalai Lama.1 To account for the sheer magnetism of the Four Temples District and the White Stork Synagogue one has to engage different spatial and ideological frames or, as our title suggests, symbolic borders, in order to explore the links between architecture, space, socio-cultural contexts, and the performance narratives offered by the interplay among them. The concept of a border or frame relies on relational logic. Just as difference can produce meaning, the city feeds on heterogeneity as much as on frictions between identities, groups, and districts. Tagged by Norman Davies and Roger Moorhouse as the microcosm of Central Europe, Wrocław boasts a multinational history firmly inscribed in its architecture.2 Davies and Moorhouse claim that the Jewish community in what was then called Wrotizli could have already existed in the 11th century.3 However, the treacherous tide of Wrocław's history has not always been kind to Jews. Having been expelled from the city (named Vretslav at the time) in the 1450s, the Jewish community was once again allowed inside the city walls in 1744.4 Continuing with the water metaphor, one might point to the 19th-century rise of nationalism as the main current washing over the long tradition of Jewish culture in Wrocław. Since the 18th century, Jews from Wrocław could settle between the two moats, in the vicinity of what is now the Four Temples District.5 This assigning of a specific location and the relative isolation from the larger community it suggested became more significant in the post-1864 period when, as Joanna Beata Michlic writes in Poland's Threatening Other, '[t]he myth of the Jew as the harmful other in all aspects of Polish national existence emerged'.6 The advent of this myth coincided with the introduction of the term 'anti-Semitism' by Wilhelm Marr in 1879, and the growing nationalist sentiments sweeping across Europe at the time. Yet, Davies and Moorhouse stress that at the turn of the 19th century Jews were very much integrated with the local community of Breslau.7 The second decade of the 20th century saw the Jewish community flourish; but the traumatic events of the Second World War and Nazi racial policies led to the decimation of the city's Jewish community. Following the war, Wrocław became a Polish city once again and a major transit point for many Jews escaping the Soviet Union as well as home to some of the remnants of Polish Jewry. During the communist era, especially after the purges of 1968, most of the Jews who had settled in the city emigrated. However, since 1990 there has been a resurgence of Jewish community life in Wrocław around the rebuilt White Stork Synagogue. Davies' and Moorhouse's history helps one understand the heterogeneity of Wrocław and its importance for the Jewish community. The understanding is nowhere more evident than the way in which the White Stork Synagogue survived the war and the anti-Semitism of the Communist regime. The Synagogue, though badly damaged and abandoned, was not raised to the ground, primarily because it is physically connected to the surrounding complex of buildings and therefore could only have been destroyed completely if the buildings around it suffered the same fate.8 This architectural integration and how it ensured a confirmation of the city's Jewish history is more than a simply fact, however; it is also a symbolic metaphor of the bond between the Jewish community and the city of Wrocław that can partially explain post-war Poland's political history. As already mentioned, the White Stork Synagogue is situated in The Four Temples District, a section of the inner-city defined by four different places of worship – the Synagogue, the Roman Catholic Church of Anthony of Padua, the Orthodox Birth of Holy Mother of God Church, and the Evangelical-Augsburg Church of Divine Providence. The district is delineated by the following Streets: Kazimierza Wielkiego, Pawła Włodkowica, Krupnicza, and St. Anthony; the latter three and Bohaterów Getta square mark the Jewish section of the district. In keeping with its original, the White Stork Synagogue sits on one side of a charming, old-world courtyard and is integrated into a complex of buildings. The most direct route to the Synagogue from the city centre is through an almost hidden, decorated passageway walled by buildings and garages that runs along one-side of the Synagogue. The most striking entrance is through the arched gate that connects the courtyard in front of the Synagogue with Pawła Włodkowica Street. The multi-storied Synagogue's white facade, which is in stark contrast to the factory-like raw brick buildings around it, offers a prominent architectural backdrop to the courtyard when seen for the first time from this entrance; while the gate, the dark arched passageway behind it, and the old-fashioned lamp hanging from its ceiling provides an air of 19th century charm. The White Stork Synagogue is constructed in a neo-classical style, in keeping with the other buildings around it. The entire complex bears traces of an industrial, factory-like, architecture, underscored by its dirty coloured brick facade. A sign on one of the walls adjacent to the Synagogue indicates that the majority of the buildings were constructed between 1900–1901; but the Synagogue, designed by Carl Ferdinand Langhans in 1829, pre-dates the other buildings by close to 70 year.9 The four high windows viewed from the front of the Synagogue give the impression of a structure serving a public function. The Synagogue has three entry doors, two at the front facing the main courtyard and one on the decorated passageway side of the building. There are no clear indicators of the building's purpose, other than a menorah visible through one of the windows and a small copula in the centre of the roof. The interior of the Synagogue is divided into three horizontal and vertical architectural areas. The horizontal areas consist of the main worship/prayer space on the ground floor, a large reception area as one enters from the courtyard that runs along the entire back of the worship space, and a long, wide corridor on one side of the worship space leading to the stairs that access the building's upper floors. Meanwhile, the building is three stories tall with the ground floor containing the main large worship area and the two floors above it consisting of wide corridor-like balconies that overlook the large worship area below. Both balconies can serve as the traditional women's gallery during religious services as well as spaces for overflow crowds at events held in the temple and as exhibition halls from time to time (during our site visit in September 2011, for example, the second and third floors housed exhibitions exploring the histories of the White Stork Synagogue and the Jewish communities in Wrocław). Mirroring its interior architecture, the temple's religious purpose can be divided into three sacred areas: the main worship/prayer space for the congregation; the open area directly below the copula that allows natural (God's?) light to illuminate the symbol most often associated with Judaism, the Star of David, contained within a circle that is embedded in the floor towards the front of the congregation; and the area in front of the congregation for the chief celebrants (the Rabbi, the Cantor etc.,) framed against the backdrop of the most important religious matrix in the synagogue, the majestic white Ark decorated in gold filigree containing the Torah scrolls, which is both a symbol and, for the faithful, an incarnation of the sacred that portends a door to a mystical 'other' world. The spiritual character of the Synagogue is obviously rooted in the Jewish faith and is informed by the troubled history of Polish Jewry. This atmosphere of historical confirmation and the sacred is evident to anyone with even a scant understanding of European history who enters the building, whether one is Jewish or not. But, the commitment to a faith manifest in architecture and the implicit affirmation that 'we are still here as a people' writ large in the restored building on the site of the original Synagogue has a special resonance for the Jewish community and especially for Jewish believers. Yet for a nation steeped in Catholicism, the most striking architectural feature of the building is how the sacred is manifest. Unlike most large inner-city catholic churches in Poland, in which a monumental darkness of stone and dark wooden walls contrasted with votive candles and shafted light filtered through large stained glass windows illuminating magnificent statues of icons of the faith watching over the main altar and numerous small chapels off to the side of the central naive, the White Synagogue is a generous, single open space filled with natural light from the large windows overlooking the main worship/prayer area. The natural light is complimented with bright open-white interior lighting and exterior light filtered through warmly tinted glass at the tops of several of the large windows. The combination of warm lighting and mostly white walls that reflect the warmth is in stark contrast with the convention of the architectural sacred in Polish Catholicism. The fact that the space at the front of the congregation in the White Synagogue is changed according to its use function, from that of the bema where the Torah is read during religious services to a stage for performances and simply removed altogether for certain social functions, only adds to the contrast with most catholic churches in which the altar is a lavish, permanent architectural statement reflecting the ethos of spiritual consequence and the eternity of religious truth underlying it. The courtyard in front of the Synagogue is flanked by the Mleczarnia café, one part of which sits in the shade a fully grown chestnut tree. The café, cluttered with vintage tables and chairs that extend into the courtyard and decorated with pictures of Jewish life in the city, hosts its Jewish character in much the same way the city does today: as an integrated but distinctly recognizable part of a heterogeneous city's present and past. However, as with much of Wrocław's past, history is never far away; it was this very same charming courtyard, in front of the Synagogue, that the Nazis transformed into an open-air prison where the region's Jews were held prior to being sent to the Terezin concentration camp where most died. The courtyard is confirmation that the renovated White Stork Synagogue of the 21st century is not limited to its footprint, its striking white neoclassical facade, its architectural manifestation of the sacred filtered through Judaism, or its deeply significant meaning for both the local and wider Jewish community. It is rather a larger site of multiple performative tropes that encompass the building and the courtyard that hosts it. It is on this wider stage that one of the many narratives that is present-day Poland is played out; a narrative that speaks of a booming city which is very much part of a larger Western Europe but equally one interwoven with themes of an often troubled history and a Jewish community that remains part of its story. The courtyard is a palimpsest of meanings. In the late summer of 2011 when we visited the Synagogue, for instance, the courtyard offered a secluded oasis from the hustle and bustle of nearby noisy traffic and hectic city life. Yet, its sequestered liminality is countered by the fact that it is one of several semi-secluded public city-owned spaces in the larger city of Wrocław that are to play an important public role in 2016 when the city is to become the European Capital of Culture. Its private/public face aside, it is also a space between the Jewish matrix of belief, social mores, and cultural expression manifest in the Synagogue that dominates the courtyard and the wider community of the city. It also suggests a segue into the specific history of Polish Jewry framed inside the larger chronicle of the nation's history and by extension, of Europe's (and Poland's) current struggles to come to terms with socio-ethnic tensions. Tensions such as those generated by aspirations of multiculturalism in various parts of the continent, others between the desire for inclusion and the realities of exclusion that are so troublesome in tropes of nationalism, and tensions bred by the need for mutual respect among different ethnic, religious and/or social groups that goes to the heart of Europe's struggle to move beyond platitudes about engaging with genuine cultural change. Krzysztof Nawratek observes in Miasto jako idea polityczna (City as a Political Idea) that heterogeneity is the core marker of the city. He writes that to manage this heterogeneity, minority groups within a city are often contained within particular districts to which different functions are assigned.11 Though hardly a minority district per se, the Four Temples District embodies some of the functions typical of the more ethically marked zones of cities such as London or New York, the major one being the tourist function. Under the guise of tourism, the entire district, and the White Stork Synagogue in particular, acquire meaning by contrasting them with what lies outside their borders. Being marked most definitively by a religious referent, much of the site's attraction, for Poles at least, draws on the hegemony of Catholicism in Polish religious discourse. Yet the cultural life of the Synagogue, mixing a religious and socio-cultural function with Jewish and non-Jewish repertoires, reveals an openness that allows space for transformation that will perhaps leave those who enter it with a fresh view on the Polish-Jewish relationships. Important as it is, this relationship is but one facet of a larger tale. The Synagogue and its courtyard are part of a multilayered chronicle that engages the religious, historical, political, cultural and social dimensions of its city. If viewed as a performance text write large, the Synagogue and its courtyard are a stage upon which a multitude of scenes that are a part of this chronicle are played out day and night, both outdoors and inside the building. The scene changes can be hourly, daily, historical, and/or cyclical (in terms of cycles, for example, there are: the rhythms of the seasons, with their designated holy days and dates for festival programming; the rhythms of the week, with Saturday as the main religious day; and the changing rhythms of day and night, with the various activities each brings). The transformations wrought by these scene changes provide us (the ethnographers as well as other actors) with different scenarios and various readings understood within the context of the White Stork Synagogue's role in the city's larger plotline. As in any theatre, it is the setting, actors, spectators and audiences who provide meaning. The people in and around the courtyard perceive signs and act upon them. People who live in Wrocław can be mere passers-by, active spectators, or participants in cultural events; visitors, meanwhile, often have scripts supplied by brochures to follow (some obtained at the Jewish information centre just round the corner from the Synagogue) others move more intuitively through the space. The Synagogue building is itself a performer of sorts, with numerous roles in the various tropes it is part of: a symbol of the living Jewish faith, a confirmation of history and the survival of a people, an architectural jewel in an already beautiful city, and a partial affirmation of religious harmony as one of the four temples, to name but a few. Similarly, the interior of the building embraces numerous personas as it transforms from a place of worship to an exhibition gallery, a concert hall or a dance floor. In keeping with these various roles, the Synagogue plays to its different audiences: the Jewish community, the local authorities, the citizens of the city, the tourists it attracts, and those it entertains (and in many instances informs) with its cultural programming. In short, the White Stork Synagogue is an urban theatre piece framed by its history, manifest in its architecture, in the space in contains, in its socio-cultural context and in the playing out of the ritual and mundane, the sacred and the profane. 2. Davies, Norman and Moorhouse, Roger, Microcosm. Portrait of a Central European City. London: Pimlico, 2003, p. xvi. 4. Ibid. pp. 128, 136–138, 183, 228. 5. Łagiewski, Maciej. Wrocławscy Żydzi 1850–1944. Wrocław: Muzeum Miasta Wrocławia 2010, p. 13. 6. Michlic, Joanna Beata. Poland's Threatening Other. The Image of the Jew from 1880 to the Present. Lincoln, London: University of Nebraska Press, p. 24. 7. Davies, Moorhouse, Microcosm..., p. 308. 8. Since there were limitations on what the Nazi's could do to the building given its connection with surrounding buildings, they vented their ideological fury on the interior of the building, which was totally destroyed. 9. Carl Ferdinand Langhans (14 January 1782 – 22 November 1869) was a famous Prussian architect born in Breslau (i.e., current day Wrocław) with a special interest in theatre architecture. His designs included opera houses in Berlin, Leipzig, and Breslau as well as the Berlin Palace of Kaiser Wilhelm I.
Marco De Marinis Performans i teatr. 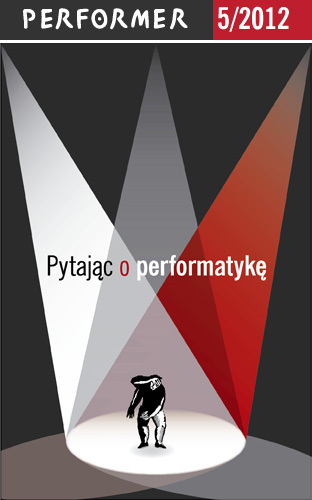 Od aktora do performera i z powrotem?